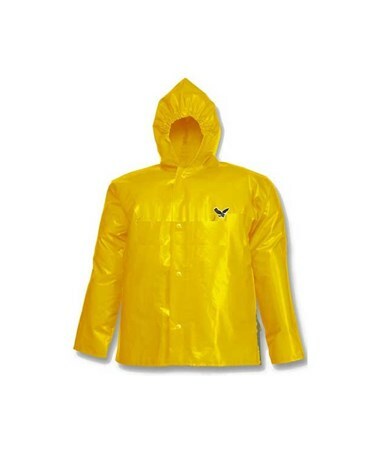 This multi-purpose jacket is designed for maximum protection and comfort. Not only are the actual materials supple, but the sleeves of the jacket are designed with a batwing style with a generous cut. This allows for a broad range of arm movement. The sleek finish makes for quick and easy cleaning and decontamination. This great jacket is even resistant to mildew. Additionally, can withstand extensive laundering and is resistant to snags and pulls. Featuring heavy duty snaps, this jacket also sports a storm fly front with a throat guard to help protect against moisture, contaminants, and wind. There is an attached hood so you are never stuck without it. This jacket is seamless. Using polyurethane, all seams are completely waterproof. 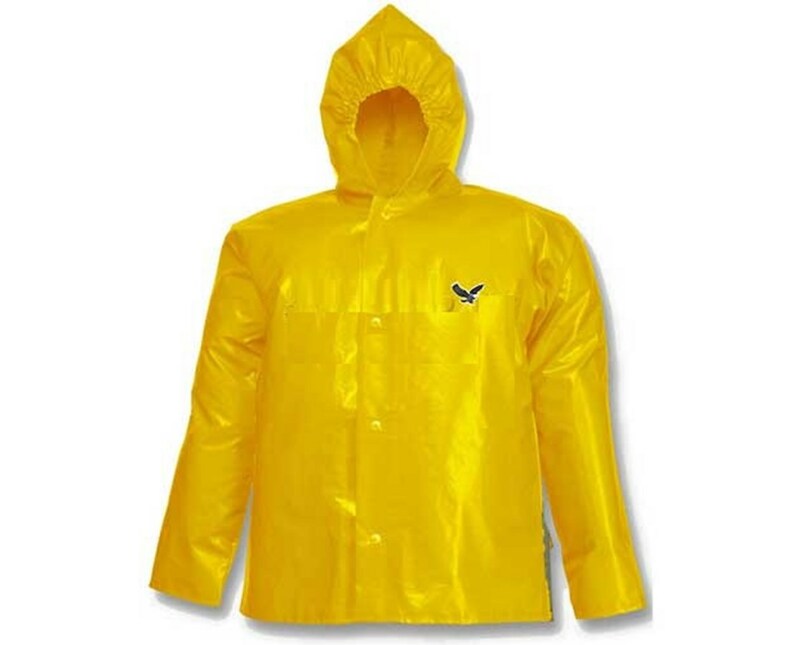 This jacket is perfect for anybody working in agriculture, food processing, forestry, meat packing, nuclear utilities, and petrochemicals. 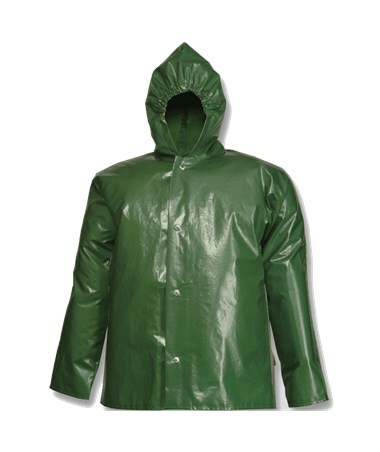 This jacket is made from 210D nylon covered in polyurethane. This seals all moisture and contaminants from getting inside. The jacket comes in 3 color options for blue, green, and gold. This jacket is available in sizes Small-6XL.